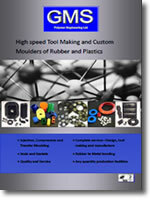 Rubber and Plastic Mouldings, Gaskets & Seals. 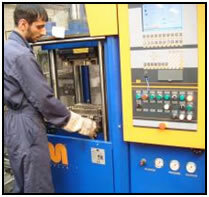 GMS Polymer Engineering Ltd is a custom moulder of rubber and plastic components and supplier of seals and gaskets. We are based in Birmingham, UK and for over 25 years we have supplied custom designed and manufactured components to many industries including automotive, pharmaceutical, food, white goods, leisure and general engineering. We have the capability to manufacture products from all types of natural and synthetic rubber as well as TPE’s and Thermoplastics. 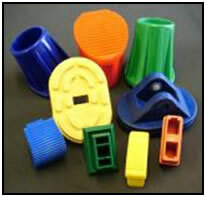 We have vast experience of the various properties and characteristics of these materials, enabling us to advise our customers of the most suitable rubber or plastic to be used for their application. We are very flexible to meet any requirements regarding part size and volume, whether your need is for small intricate high volume components or larger low volume mouldings (or vice versa), we can assist and offer you the complete service with second operations and assembly work if required. Over the years our range of mouldings and products has been developed based on our customers requirements. 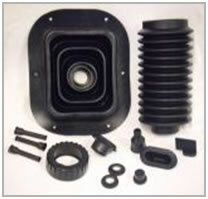 The parts that we supply vary greatly in terms of type of rubber or plastic material used, size, quantity and application. This has enabled us to offer complete flexibility in order to meet the needs of our customers. Not only can we manufacture your existing rubber or plastic parts, but we can also support new projects/products by assisting with design and prototyping. We also provide an in house tool making/tool-refurbishment service. Please contact us for more details. GMS products are used in a many different applications, from motor sport to classic and vintage car spares, and even West End Shows.